Thanksgiving is a great time to head out on the Mt. Hood Territory Wine Trail. Many of our wineries offer special holiday hours and great discounts on tastings or even wine purchases. We got a little preview of that at Forest Edge Vineyard outside of Oregon City. This scenic little hideaway has been a labor of love for owners Jan and Ron. They built the winery and vineyard literally from the ground up over the last 33 years, and are producing some truly sensational varietals. They offer must-have options like Pinot noir and Chardonnay. But you'll also find more rare selections like Leon Millot, a hybrid grape similar to a Marechal Foch, but a bit fruitier, according to Jan. What really makes this place stand out, however, is they're just as dedicated to their environment as they are the wines they create. They follow a philosophy known as "permaculture" which focuses creating agriculture systems that are modeled after what you find in nature. Their dedication to this practice can be seen by the very nature of their vineyards' placement on the property, literally at the forest's edge. This mixed-species forest is managed under the guidelines set forth by the Forest Stewardship Council. "Edge is a concept in permaculture that is really key about how the diversity and resiliency of ecosystems when they come together is really powerful," said Jan Wallinder who owns the winery along with husband Ron Webb. Most of the electricity for both the winery and their home, about 90 percent, is provided by a large bank of solar panels. "We're hoping to reach 100 percent soon," said Ron. 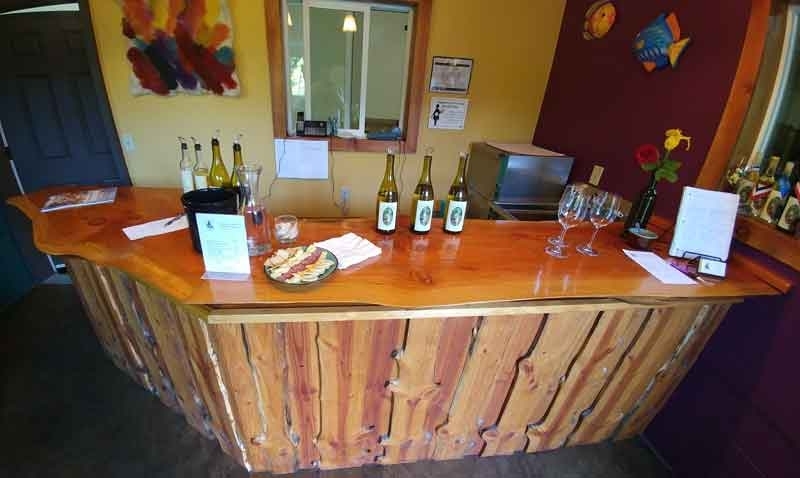 Forest Edge Vineyard is part of the Mt. Hood Territory Wine Trail. 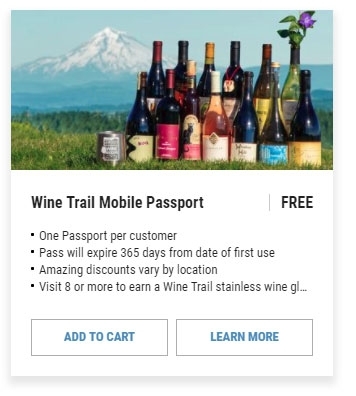 You can tour the trail yourself by downloading the mobile passport to your phone at omht.us/winetrail. Once on your phone, you can get some great discounts at each winery. Forest Edge, for example, is offering 5% off all purchases. Redeem a discount at 8 wineries, and you will earn a free Mt. Hood Territory stainless steel wine tumbler.